The transmission possibilities between train carriages at short and medium distances were examined as part of the measurement campaign on a rail test track in Aachen. DLR researchers have developed a millimetre-wave radio system for train-to-train communication at high data rates and with minimal delay. For the tests, the millimetre-wave radio modules of the DLR were mounted above the Scharfenberg couplers. The automatic coupling manoeuvre was also tested near the platform. Such communication is an important prerequisite for the virtual coupling of train units. Such train-to-train communication makes rail traffic more efficient and flexible. New 5G (fifth-generation) mobile radio systems enable reliable, secure and wireless data transmission. In rail transport, this makes virtual coupling possible – in other words the independent, contactless coupling of trains during journeys to form longer virtual units. 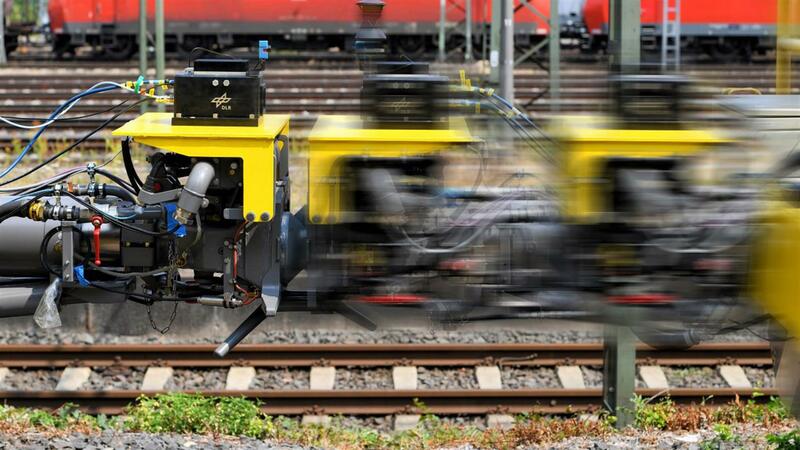 Researchers from the German Aerospace Center (Deutsches Zentrum für Luft- und Raumfahrt; DLR) have conducted a measuring campaign on a test site at RWTH Aachen University to investigate the communication between trains using a millimetre-wave radio system specially developed for this purpose, with high data rates and minimal delay time. Initial results show that stable, secure communication is possible up to a distance of approximately 130 metres. The automatic coupling of trains and the virtual coupling of individual rail carriages or entire trains represents a crucial step towards greater flexibility and efficiency in rail transport. Millimetre-range (63 und 64 GHz) radio wave transmission is suitable for secure and swift communication between trains. Researchers at the DLR Institute of Communications and Navigation have developed an innovative millimetre-wave radio module for this frequency range, which is still not very used in mobile communications. "To ensure secure automation in rail traffic, data transmission must work in real time and under the most difficult conditions, such as high train speeds. As such, during our measuring campaign, we looked closely at the transmission characteristics," says Stephan Sand, Project Manager and Communication System Team Leader. 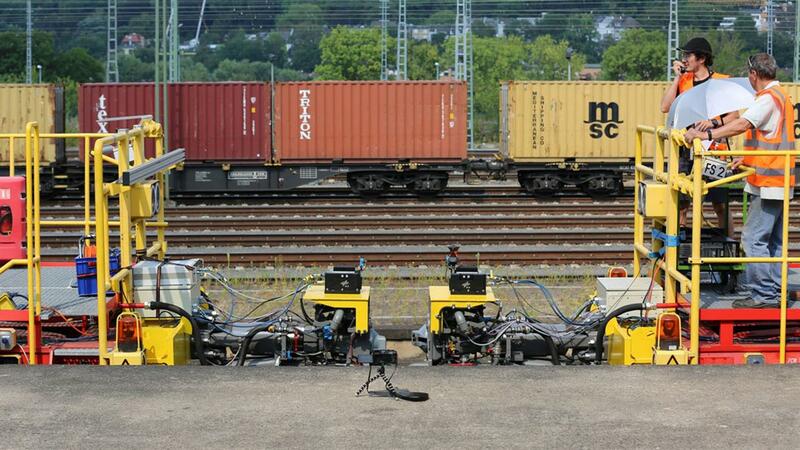 As part of their measuring campaign, the researchers investigated the options for transmitting data between train cars at short and medium distances at a rail test track in Aachen. This allowed the researchers to conduct dynamic measurements of the radio propagation in the millimetre-wave band between trains for the first time in Europe. 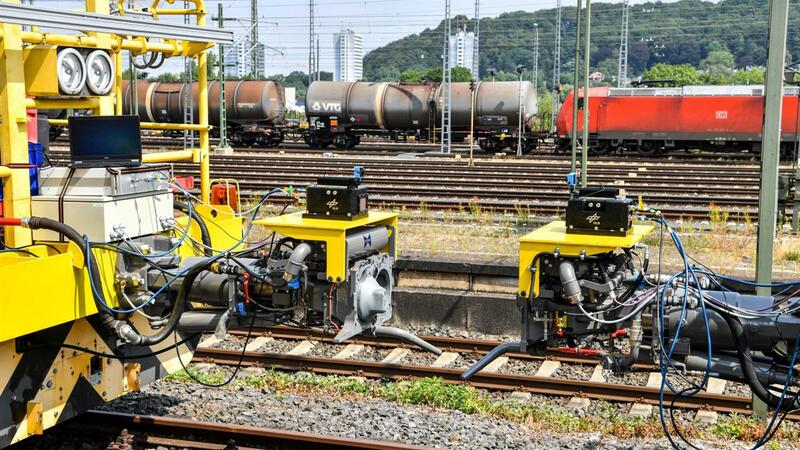 The Department of Rail Vehicles and Transport Systems (IFS) at RWTH Aachen University provided two self-propelled test rail cars, allowing the measurements to be carried out under rail-specific conditions. The millimetre-wave radio modules were mounted to the couplings of the train cars. "In addition to the transmission properties, this test setup allowed us to analyse the influence of train vibrations and the coupling process on the millimetre-wave systems," Sand explains. The railway tracks of the RWTH Aachen University offer a variety of environmental conditions in the smallest of spaces. It was therefore possible to perform automatic coupling manoeuvres in different environments, such as an open area, close to the platform and next to trees and bushes, as well as on straight and curved sections of track. The DLR Channel Sounder, a DLR-developed measuring instrument that analyses and enhances radio signals, was used to record millimetre-wave signals for analysis of the transmission characteristics. Initial results have shown that communication via millimetre waves is possible even over large distances of up to 130 metres. This is a promising finding, as physically coupled train cars will also be able to transmit safety-critical data via millimetre-wave radio connections in future, enabling wireless train control and monitoring systems (TCMS). Wireless TCMS have lots of advantages over the current wired TCMS. First of all, wireless TCMS offer an additional, highly secure transmission path for electrical coupling comprising more than 100 sensitive electrical contacts. As the electrical couplings are subject to a strong electromechanical load during coupling and are also exposed to weather conditions, they often malfunction and have to be repaired. In turn, this leads to train cancellations and delays. Since wireless TCMS transmit data without the need for contact, malfunctions caused by electromechanical loads cannot occur. 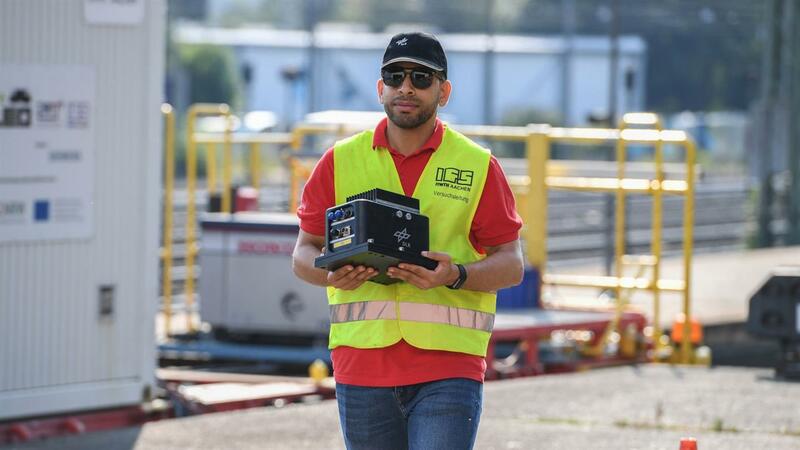 5G ultra Reliable Low Latency Communications (uRLLC) for wireless TCMS also allow a precise and reliable estimation of distances between trains during coupling. Using wireless TCMS and 5G uRLLC enables the coupling process to be fully automated. The measurements were conducted as part of the German research project 'Secure and Low-Latency Broadband Transmission over Short Distances' (SBDist). SBDist is one of the flagship projects within the 'Reliable Wireless Communications in Industry' project, which focuses on Industry 4.0 applications. The projects are funded by the German Federal Ministry of Education and Research (BMBF) to develop key technologies for different sectors of industry. The SBDist project is developing new radio technology that enables highly reliable and low-latency transmission of large amounts of data between moving units, such as trains, over a few metres. The project is closely associated with the DLR Next Generation Train project.